Ludomino and Silver Sheen are Crabbet/Old English but Magic Argosy is mainly Polish. Unfortunately I am not very good at the percentages. Hi, going by the percentages given on the allbreedpedigree site, your mare is 76.159665% Crabbet. To be 100% sure you can contact the Crabbet Organisation & they'd tell you for sure & issue you with a certificate (you have to pay for this). If this is correct she'd qualify to be shown in Crabbet classes as is over 75% Crabbet. She has a lovely pedigree, any pics of her? Do you know her sire? Hi all, just to clarify Ludomino and Silver Sheen were 100% Crabbet while Magic Argosy was by a Polish sire (albeit with some Crabbet blood) out of a Crabbet/GSB mare. I'm afraid the Crabbet Organisation certificates are at a standstill at the moment due to ill health amongst our Crabbet committee - this means everyone who can is helping on the Crabbet Journal and no-one is free to work on percentages just now - hopefully we can get back to them in the new year. 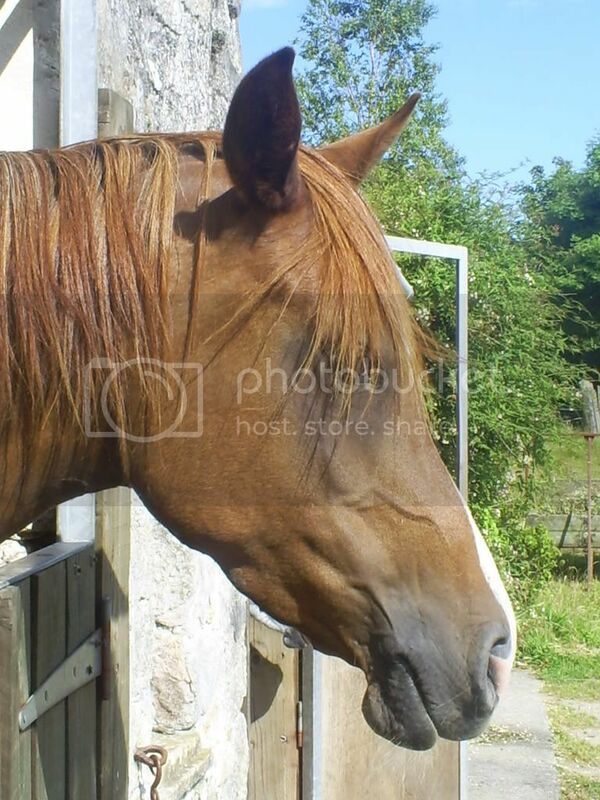 Sorry I wouldnt have a clue how to upload a pic of my mare but she's very beautiful. Oh, her sire was Silver Finesse and dam was Kingsettle Kaargossa. Both no longer with us unfortunately but I saw Finesse's photo on allbreeds pedigree and she is the spitting image of him. By some quirk of fate I'm buying an Oldenburg this week called..... Finesse. If someone can talk me through it, I will have a go at uploading pics. Aliphi, you need to save your photographs to an internet photo website, www.photobucket.com is a good one. Once you have downloaded your photos to the website (they will show you how), then you click on the IMG Code box (it will automatically copy) and then paste that code into your message on here, it should display your photo. Bit of a coincidence, I too have an Oldenburg (Contender lines) but not called Finesse! LOL! THANK YOU SOLSTICE. I got the photo up. I still think she's gorgeous and I've owned her for several years now. I just wish she was as calm as she looks but she isn't! She can be a right pain! (Just a bit hyper). I wouldn't swap her for a million pounds though, I absolutely adore Cassie and feel very privelidged to own such a lovely horse. Isn't she calm? That's VERY unusual. I have a 76.3793925% Crabbet horse, and he is the calmest horse that I've ever seen. Are you planning on entering her in the Crabbet show next year? You have a wonderful horse! She's beautiful. I defy anyone to say Crabbets are plain from her photo, tiny muzzle, deep jowls, broad forehead, lovely! Hi Alison, she's beautiful! I see that someone has calculated her crabbet % to be over 82% on the allbreed site, thats great, are you going to do the Crabbet Show with her? Hi. 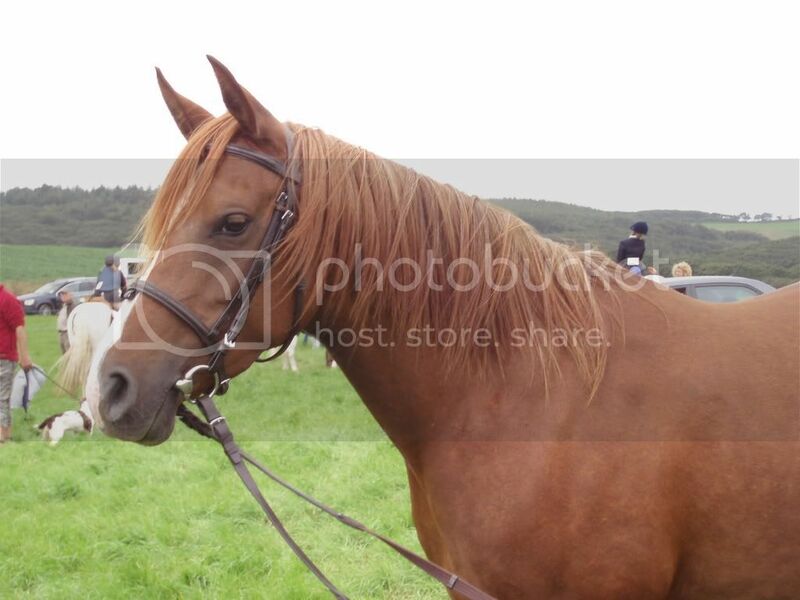 I was browsing on the net as I have an arab mare, Wrenwood Zerrafin, and was so happy to find someone who has her half sister! Her sire is Silver Finesse and dam Kingsettle Ziforta. She is Chestnut and can be moody but has calmed down a lot since I have had her. She is 7 years old. I have been trying to work out what percentage Crabbet she is too but am finding it all very confusing! Crumbs, haven't been checking my replies. She's definetly as mad as a bag of chisels and incredibly fast but has the most beautiful temperament. One man who rode her proclaimed "I've never been so fast in my life" inbetween gasping for air (I was trying to stiffle my laugh but couldn't). Will the lady who owns Cassie's half sister please let me know where abouts she is cos it would be great to meet her if she's near Devon. I wish I could have met Cassie's parents. Hi, I own Cassie's half sister. 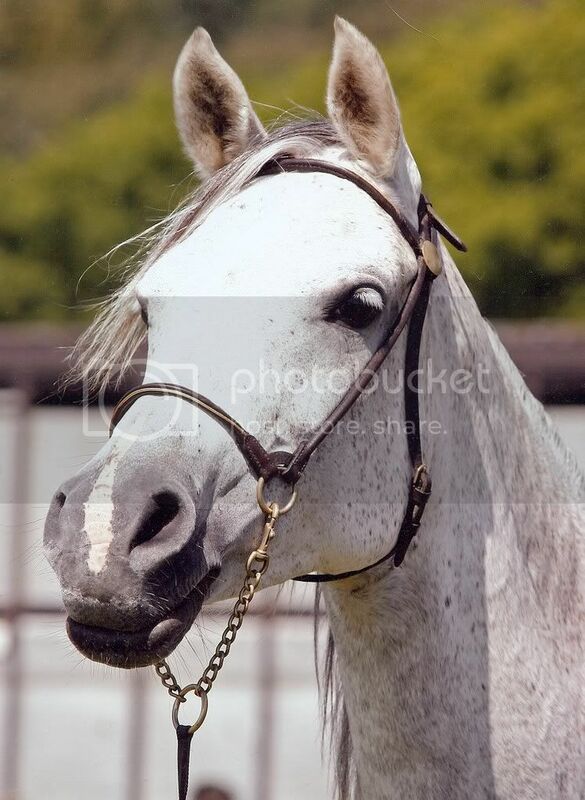 I never met either parent but saw photos of Silver Finesse - absolutely stunning. Angel is the same - very nice tempered but mad so maybe it runs in the family! Im in mid cornwall (so is Angel) and would love to meet you too. Oh brill. Im so pleased you've replied Sam. It's like the only link I have to Cassie's family. If you want to see her, with her pals, log into my site http://www.poniesdevon.co.uk and look on Gintys Jaunts. BUT I definetly want to come and meet Angel and you have got to meet Cassie because she is the spit of her dad - and that comes from Leslie Peppers sister and mum (who bred both our lovely girls). They met Cassie at the Crabbet Show at Honiton a few years ago. Lucinda Green judged her and said her movement was beautiful and she'd like to ride her but Cassie misbehaves big time at shows so just got 3rd, I think. My names Alison by the way. So pleased you contacted me. Has Angel had a foal yet? We were going to put Cassie to the stunning Winged Saint but unfortunately he has to be sold. Can't believe it, found perfect husband and he's absconding. Cassie really is gorgeous and from what i have seen does look just like her dad! Looks like she leads the way in field races too! angel does try, bless her, but her fieldmate is a bit of a bully. last years kick marks have only just gone. only problem is if you split them up they both go nuts. It sounds like you have a load of shows going on in your area - down here you get the AHS show and Royal Cornwall and then the tiny village shows which dont show arabs because there are not enough entries. The show i took her to i found out that the judge bred arabs so i was pleased when she said Angel is a lovely mare and she wanted to take her home! excellent comments from Lucinda Green by the way. Where are the crabbet shows held and would i have to have proof she is crabbet? I think she would show ok at somewhere big without making too much of a fuss - in hand though obviously! 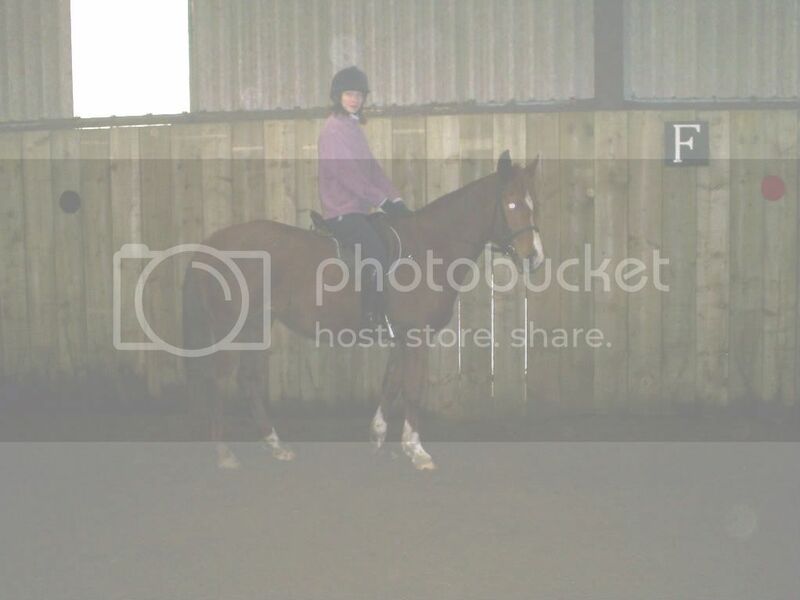 What is Cassie like to ride? does she behave then? Angel was professionally broken and ridden on but then had a few people off and was left for a while and now she is stroppy and cannot do anything without a kick.....leg on - kick. canter - kick. halt - kick. that sort of thing! I would love to meet Cassie. Not sure if its just me being silly but her face looks exactly like a grey angel. not got many good photos of angel as when a camera gets near her she pulls faces! you have to come and meet angel as well. she would love to see you (she likes people). I was looking and I think they are slightly more than just half sisters as there are horses on boths dams sides that are the same. She has not had a foal yet. I only got her in May last year and at the moment she is doing well so I dont want her to have a load of time out. Something to think about before she gets too old though. would love a baby angel. Choosing her a husband would be a picky thing though! Nice to speak to you and I cant believe i found Cassie by chance. I was looking for the stud website (have they closed now because I cant find it) and Cassies name came up! Are you going to the stud visit at Sue B's on Saturday? Cassie is exactly the same when you take her away from the others so when I go to shows she has to go alone. Horses have to be 75% plus for the Crabbet shows but I don't know if they hold them anymore because they didn't get the support. I showed inhand and the lady there seems to know if a horse is high enough percentage off the top of her head (Alexia). I didn't have to take any proof. Cassie is fine to ride out locally but forget hunting (too mental and wants to be the whippers in horse but without the hounds in tow) and fun rides are just a blurr. If she sees a horse in front of her she HAS to catch it up! She is incredibly gentle natured and my daughter has been riding her since she was ten (daughter, not Cassie), she just acts a prat with adults who can ride. I'd picked out Winged Saint to put to Cassie but I heard just this week that he maybe coming on the market. He is 100% and stunning allround. I'm going to keep in contact with his owner to see where he goes too. I think her stud is called Berrycroft and she's by Okehampton so if you Google it, or Saints name, you will see what I mean. As I live in Devon and not Cornwall I don't know if I'm allowed to the meet but yes I did contact them but have heard nothing. Definetly would like to come down though. I think we should try to find their other brothers and sisters, don't you? I heard they had cancelled the 2008 show because of lack of interest. its a shame really as it would be interesting. Angel is 95% + (i havent worked out exact percentage yet). I havent ridden angel out yet but hopefully she wont be too bad! I am going to try that when the weather gets a bit better. A woman at the yard where Angel is kept is taking delivery of an older "bomb proof" horse this week so hopefully it may give us a lead. She goes out on the road in hand fine although she can tell the noise of a tractor a mile off and turns into a quivering wreck! Meshaw, South Molton, Devon, EX36 4NN. It must only be a small drive for you i would imagine. Just turn up for 3:00pm! I remember one name of one of the others at Wrenwood (Jobyan) but he is not related. Apart from that i saw the list on their website but did not write them all down or print details and now I cant find their website! We can but try though. How many horses do you have altogether? a good few from the looks of it. Love the little blog from Ginty. so sweet. Also - ignore the muddy legs! Angel's a high percentage then. Lesley Pepper added Cassie's percentage to the Allbreeds site (I eventually found it) but she hasn't done the same for Angel! I've tried to find her site but it's under construction. There's Wrenwood Silk and Lia but again, I can't find anything about them. Yes Meshaw is very close to me, about half an hour I think. I've got six beasties at the moment, 5 at home and one out on loan. Another 7 weeks and there will be Ginty's foal too. I've got a little section A for sale so hopefully she'll find a home soon. Lets hope the weather doesn't stop the meet happening. I wonder if the people holding it would be interested in buying Winged Saint? I can but try. Oh, if you want to get to my place before the meet you can meet Cassie and then we can go to Meshaw afterwards. If your coming up the Atlantic Highway you pass where I keep my lot. We could meet at the bottom of the lane in the Hoops Inn car park.